Mark Twain once wrote, “Cauliflower is nothing but cabbage with a college education.” I love the quote, but am not sure of the context from which it was lifted. Here’s a fun cauliflower fact. The head of the cauliflower is often referred to as curd, since it resembles cheese curds. We eat a lot of cauliflower in our house, mostly roasted with olive oil, salt and garlic. One of my daughters only likes it steamed. 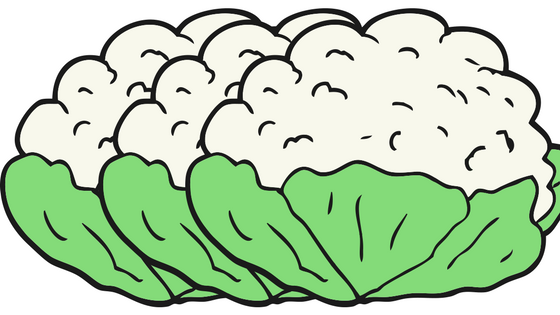 Lately, I’ve been getting into “riced” cauliflower. Just throw the florets into a food processor and pulse until it resembles rice. You can then saute it and add whatever makes you happy. There’s a whole wide world of cauliflower recipes posted by ReciFoto’s users, though, so lets dive in. If you have any favorite cauliflower recipes, please share them on ReciFoto!